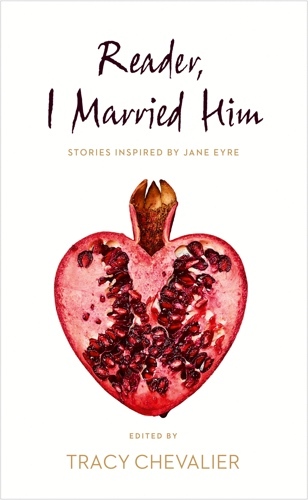 Reader, I Married Him is an anthology of short stories inspired by one of literature’s best-known lines. I approached a number of contemporary women writers and asked them to use Jane Eyre’s famous declaration as a springboard for a story. The results? Stories about Jane from the points of view of different characters in the book. A futuristic Jane Eyre. A Gothic story of marriage on the moors. A woman who tames surly teenagers by telling them the Jane Eyre story. A hungover student who tries to charm a woman with his Jane Eyre knowledge and gets the Brontë sisters mixed up. And lots of marriages: tricky, disastrous, hilarious. There are also two weddings and a couple of proposals. You can read my foreword HERE. These stories will enrich and complicate any future readings of Jane Eyre, as the best fan fiction should. ... If Brontë was going to drop in on any of the celebrations for her bicentenary, I can't help but think she would get a kick out of this collection. Tracy Chevalier is well placed to curate this sparkling collection. The 21 tales – each specially commissioned from critically acclaimed female writers – demonstrate a wealth of talent ... Through it all, weddings and marriage feature heavily ... Not quite the happily ever after Brontë rewarded her 'ever together' couple – but all the more interesting for it. 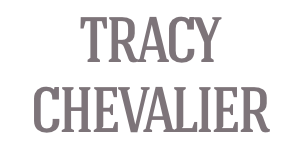 Tracy Chevalier has assembled a starry line-up of writers ... This collection is stormy, romantic, strong – the Full Brontë. It's quite amazing to see the quality of work on show. Lionel Shriver's The Self-Seeding Sycamore would be an asset to any collection, and Elizabeth McCracken's Robinson Crusoe at the Waterpark is simply one of the best short stories I've read in ages. Francine Prose's [story] The Mirror ... pitches a narrative voiced by Jane Eyre into another psycho-dimension. ... Tessa Hadley's My Mother's Wedding is a vivid and amusing examination of a rather wayward family dynamic. There is something here for everyone. 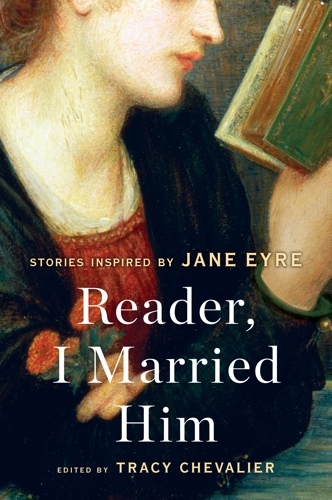 A terrific set of stories by some of our leading novelists, each of whom engages with a different aspect of Jane Eyre. The 21 stories in this exemplary collection are written by some of today's best female writers. Each story is different, each features a love story that evokes the longings, loneliness and literary legacy of Jane Eyre. These provocative stories, by authors from Emma Donoghue to Chevalier herself, make an eclectic lot. Their overall link, though, is the way they ask, with Freud, what women want.